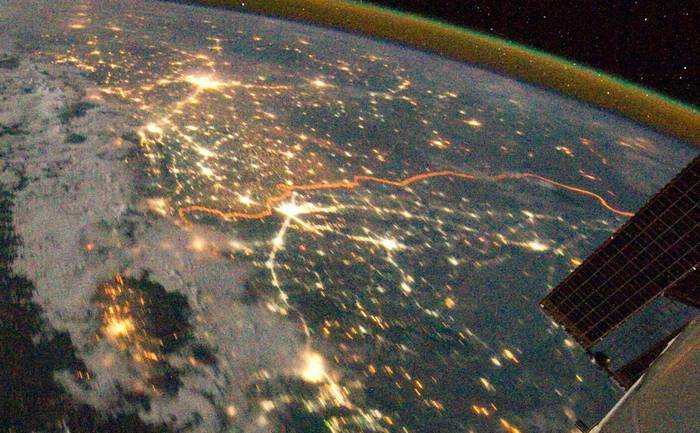 This night-time view of the India-Pakistan border was photographed by an Expedition 28 crew member on the International Space Station. 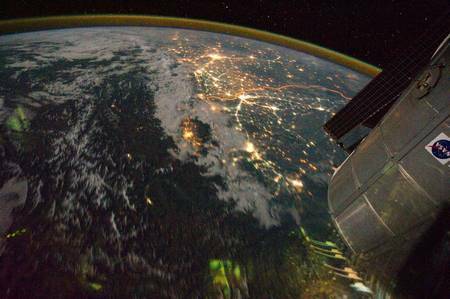 Clusters of yellow lights on the Indo-Gangetic Plain of northern India and northern Pakistan reveal numerous cities both large and small. 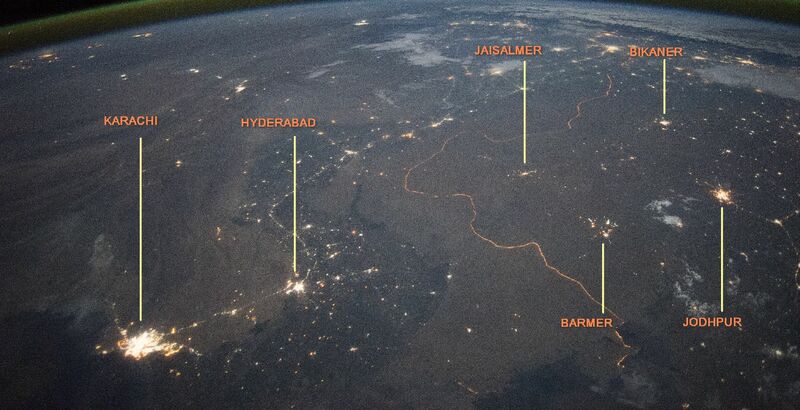 Of the many clusters of light, the largest are the metropolitan areas associated with the capital cities of Islamabad, Pakistan in the foreground and New Delhi, India at the top – for scale these metropolitan areas are approximately 700 kilometres apart. The lines of major highways connecting the larger cities also stand out – also visible are Lahore, Pakistan, which is close to the border, and Srinagar, in the state of Jammu and Kashmir, India. More subtle but still visible at night are the general outlines of the towering and partly cloud-covered Himalayan ranges immediately to the north (left). [For other posts on Pakistan see Pakistan, India and people’s responsibility (new), Floods in Pakistan displace 5.4 million and Pakistan floods, six months later.] The striking feature of this photograph is the line of lights, with a distinctly more orange hue, snaking across the central part of the image. It appears to be more continuous and brighter than most highways in the view. 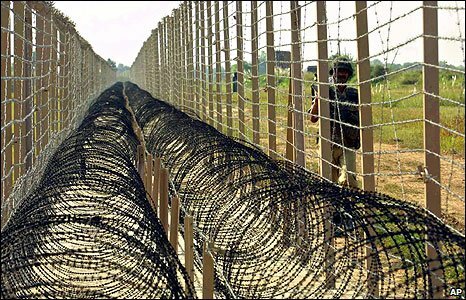 This is the fenced and floodlit border zone between the countries of India and Pakistan. The fence is designed to discourage smuggling and arms trafficking between the two countries. A similar fenced zone separates India’s eastern border from Bangladesh.